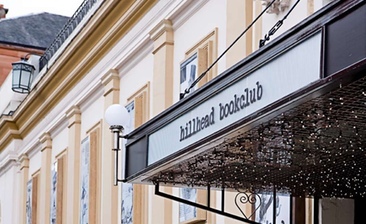 Booked a table for lunch at the Hillhead Bookclub based on fairly good reviews on this site. Arrived at 2pm, waited for a member of staff to approach us (they didn't), which ended up in us having to ask for our own menus. Waited for 1 hour and 20mins for our starters to arrive, which was shocking as it wasn't overly busy. The food was fairly good when it did arrive. Drinks were ruined by a strong smell of dishwasher fluid from the glasses (which we did complain about). I am aware this was a cheap 5pm deal, but I have received much better food and service from other 5pm restaurants. Would I go back.....maybe for drinks, but not for food.